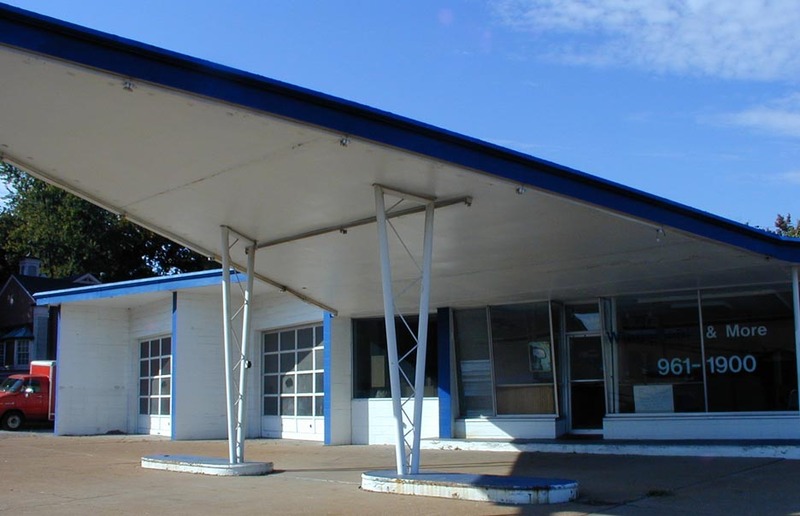 This former Save Gas station closed in 2010 just before this photo was taken. 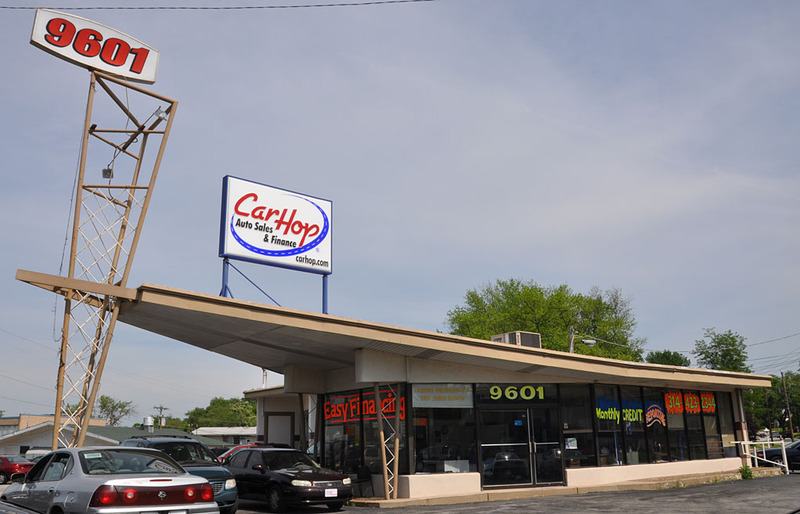 In 2011, the sign was carefully loaded onto a trailer and taken away. 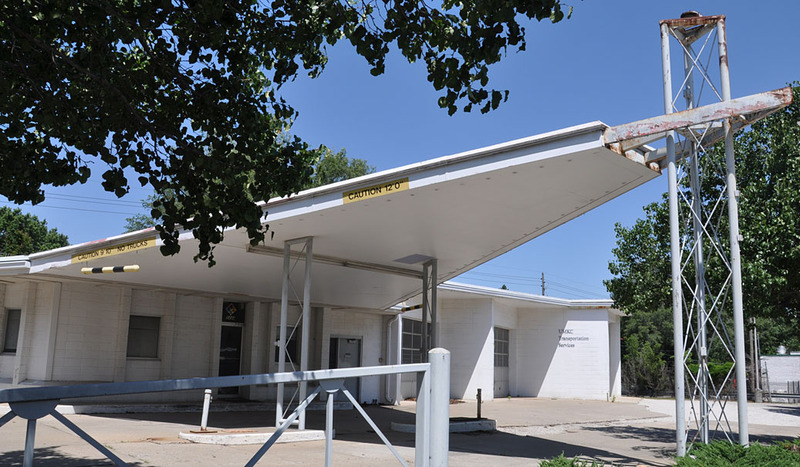 By 2014, the building had been demolished and there was a new Conoco station on the lot. 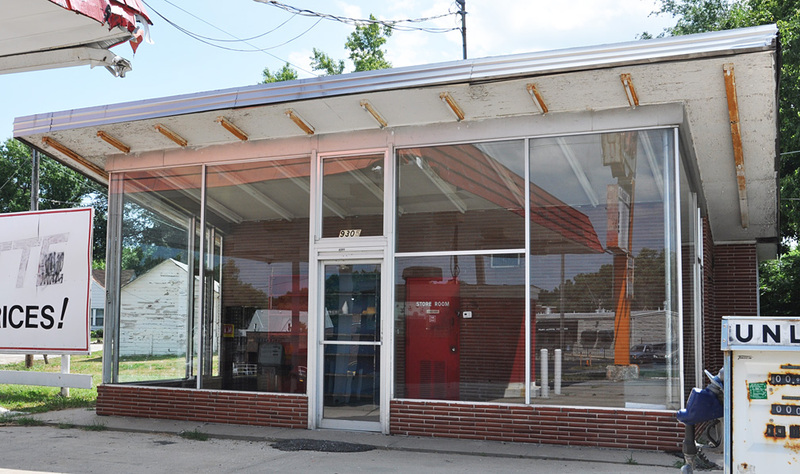 This Save Gas station may have been part of a chain since I've been told there was another location in Overland Park, MO. 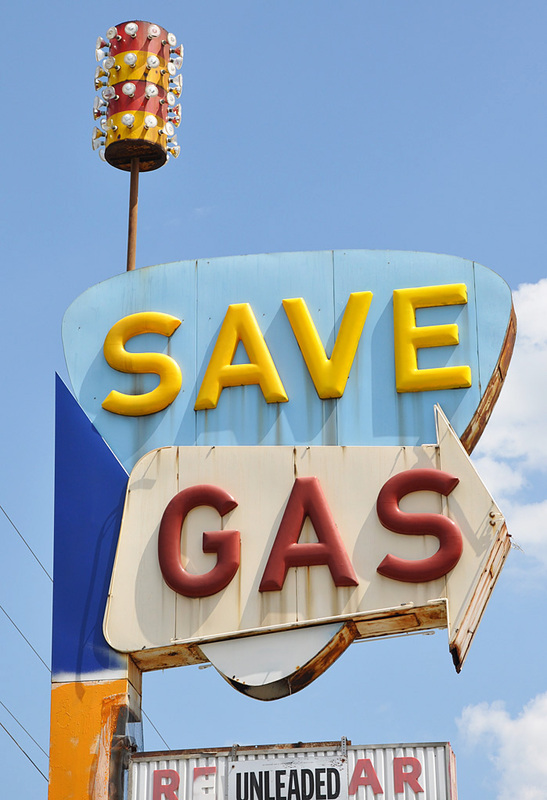 There is a different looking Save Gas sign in Racine, WI. 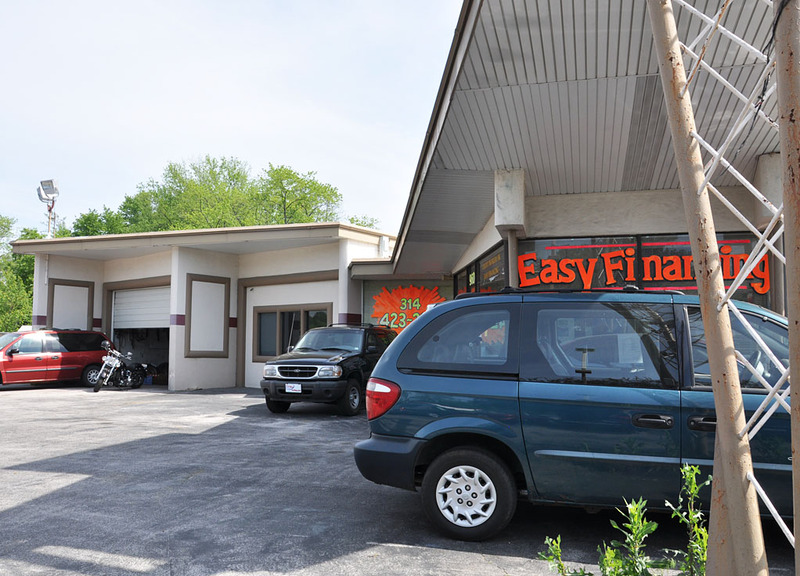 For more, see this website. 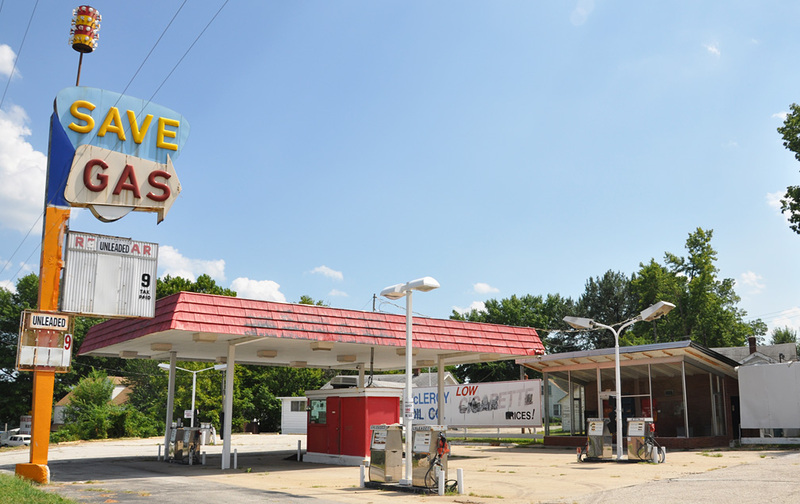 This Phillips 66 station was built in 1963. 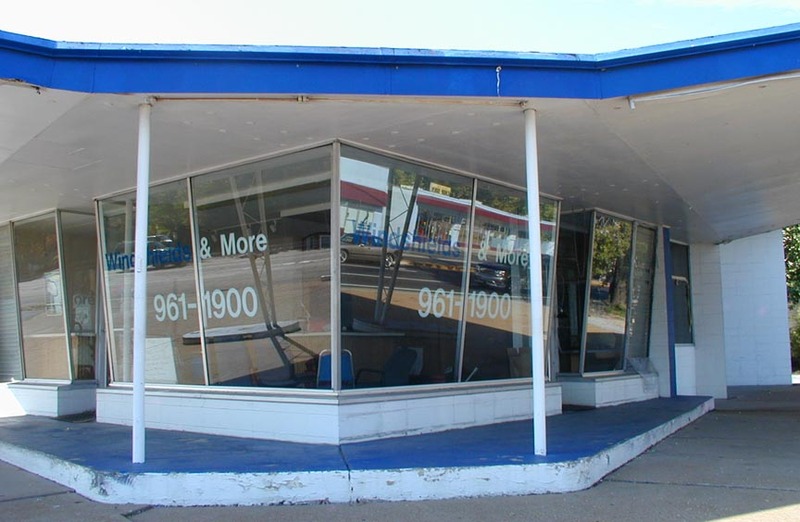 It had been part of the local "Windshields & More" chain when I saw it empty in 2005. 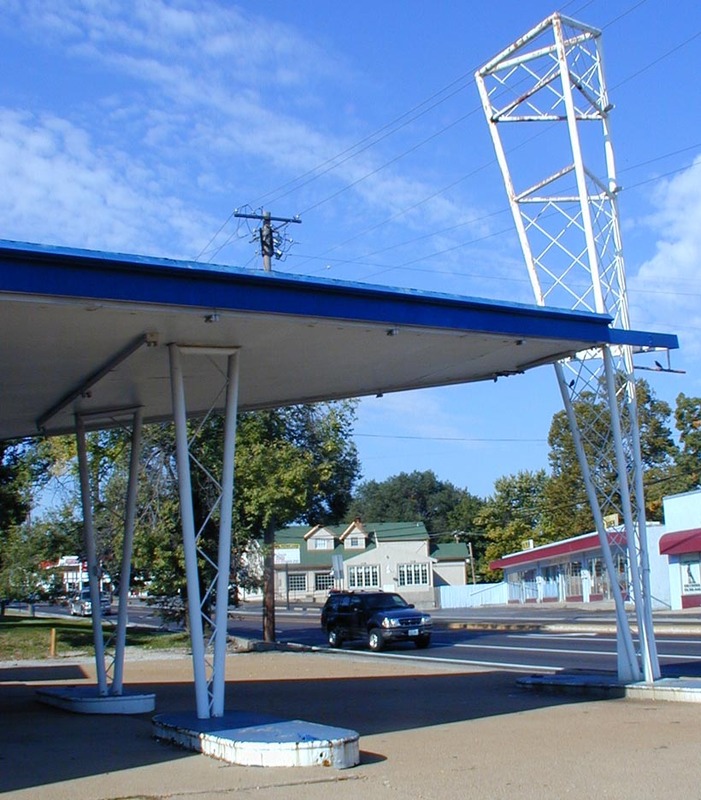 There are many old Phillips 66 stations in Missouri but this is the only double-canopy that I have seen in that state. 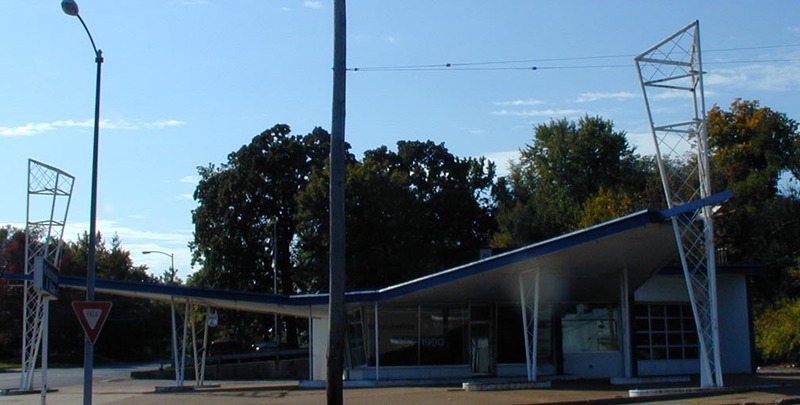 Unfortunately, it was demolished in 2006. For more, see these websites: 1, 2, and 3. 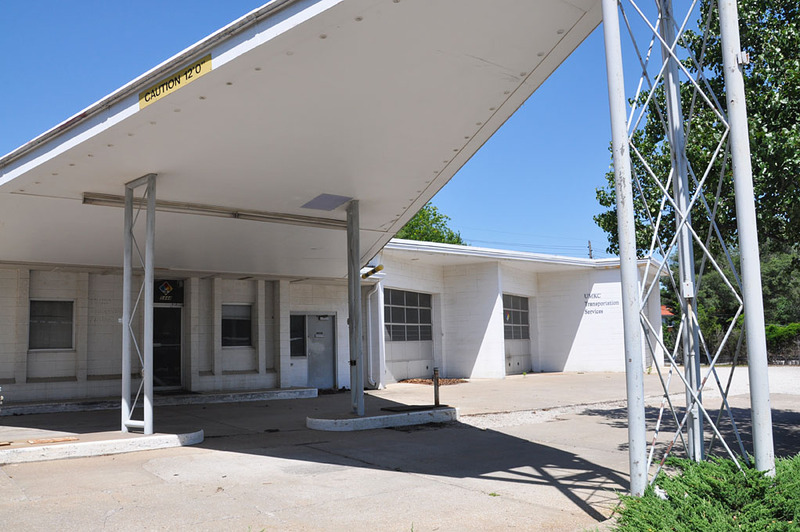 This former Phillips 66 station housed the University of Missouri Transportation Services when these photos were taken in 2012. 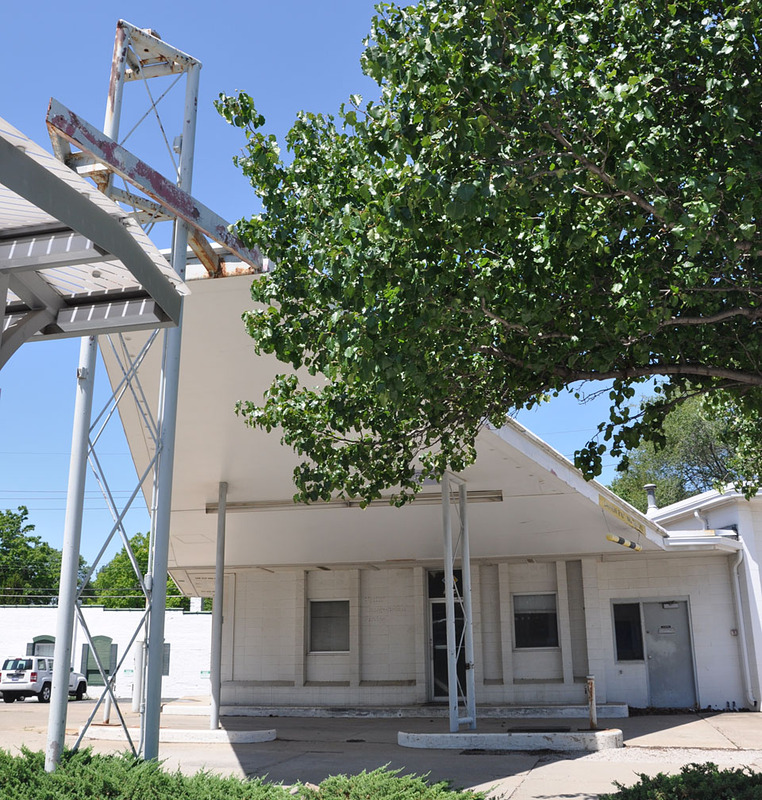 The building was demolished in 2016.